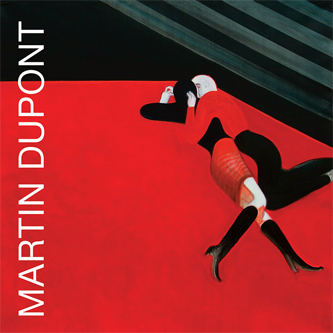 'Lost And Late' is a glorious collection of super-rare recordings from Marseilles' cult New Wave outfit, Martin Dupont. Formed in 1981, the group would release several albums and play shows supporting Siouxsie & The Banshees and The Lotus Eaters. We get tracks taken from 'Inédits 81-83', the 'Your Passion' 7" and the original version of the title track from their 'Just Because' LP. This 1985 masterpiece features emotionally charged vocals and heart-wrenched synth melodies reminding of The Cure, The Smiths and The Human League rolled into one sublime rush of neon grey. Highly recommended!! !